Genesis is a landmark TASCHEN publication that celebrates the beauty of nature and encourages us all to serve as its guardians. For this reason, we are delighted to announce a fresh collaboration with Lélia Wanick Salgado and Sebastião Salgado and the Instituto Terra, the remarkable environmental project that they have established in their home country, Brazil. 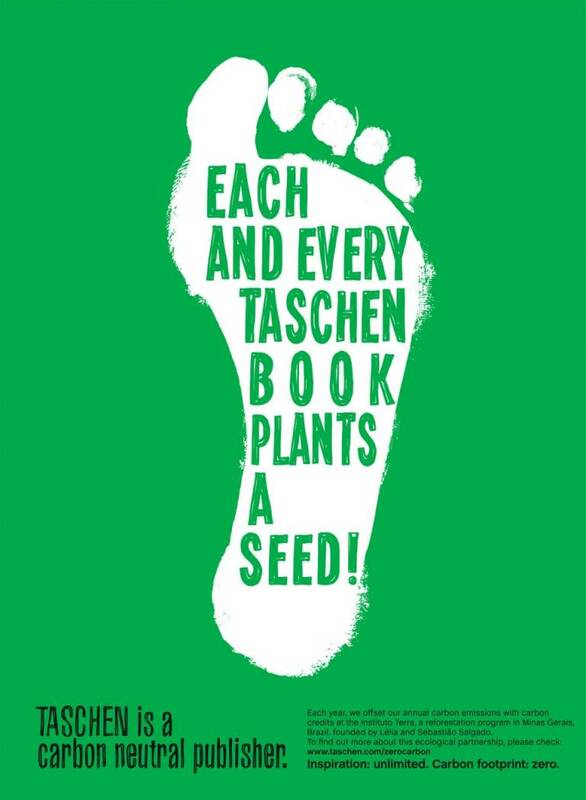 As a result of our new ecological partnership, TASCHEN, the world’s largest publisher of art books, will become carbon neutral. The Instituto Terra was founded in 1998 at Aimorés in the state of Minas Gerais on land belonging to the Salgado family. Once a cattle ranch carved out of the Atlantic Forest, this property had become arid and infertile, with dried-up rivers and little more than shrubbery for vegetation. 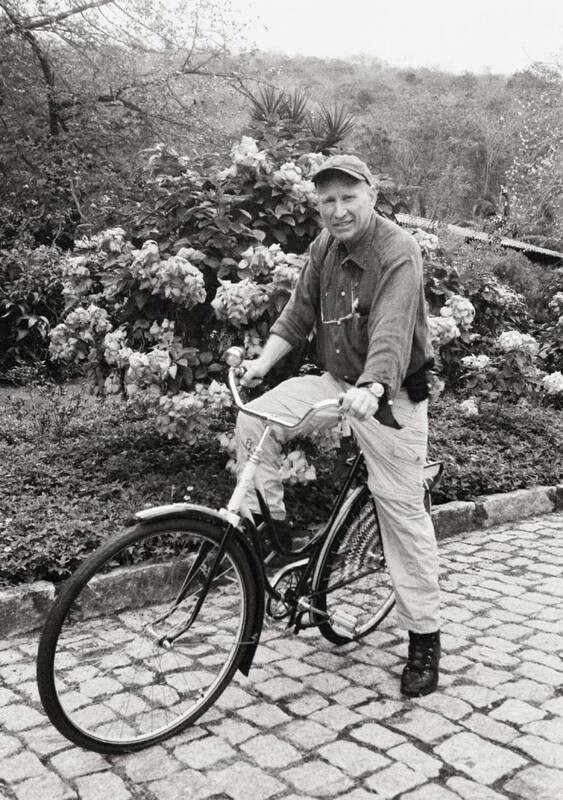 Lélia and Sebastião Salgado decided to reforest the entire area with the species that once flourished there. Since then, an almost miraculous transformation has taken place. Through a scientifically planned program of raising and planting saplings, the slopes and lowland of the Instituto Terra are now covered with two million new trees of more than 300 different species, among them the Pau-Brasil tree (which gave Brazil its name), the Jacarandá Caviuna (or Brazilian Rosewood), and the Jatobá (also known as the Brazilian Cherry). This reforestation has resulted in the rebirth of a tropical microclimate, bringing increased rainfall and replenishing parched streams and creeks with water. The new trees have also secured the topsoil so that the rain from heavy storms is now absorbed, eliminating erosion and sharply reducing the danger of flash floods. With its new covering of forest offering both food and protection to a wide variety of fauna, the Instituto Terra’s land has attracted over 170 species of birds back to the area, including native species of tawny owls, thrushes, finches, and parrots. Scores of animals, some listed as endangered, and many of which had not been seen in decades, have also returned, among them capybaras, anteaters, monkeys, raccoons, ocelots, and pumas. Snakes, beetles, spiders, ants, and other insects complete the new ecosystem. The Instituto Terra has also embarked on an ambitious educational campaign, involving schoolchildren, teachers, leaders of cooperative farms, and local environmental officials. Teams of young volunteers frequently participate in planting young trees, while the institute’s outreach program provides advice to farmers, miners, and other people working in the forest region. In fact, the Instituto Terra has become a model for what can be done to rescue a deteriorated landscape: Its initiative is exemplary in the fight against large-scale deforestation in many regions across the world, from the Amazon to Indonesia. Trees play a crucial role in balancing global levels of carbon dioxide and oxygen. While humans breathe in oxygen and expel carbon dioxide, trees work to do the opposite: They release life-giving oxygen into the environment and help absorb the excess carbon dioxide we produce. And because they do this mostly while they are growing, the impact of the new forest at Aimorés is even more significant. Today, our modern commercial and domestic economies have become the world’s largest producers of excess carbon dioxide. This stays trapped in the atmosphere and leads to what is known as the greenhouse effect. It is this phenomenon that most scientists believe is responsible for global warming and the subsequent worldwide climate change. International action is now under way to reduce carbon dioxide emissions through new industrial processes and environmental technology as well as through a system known as carbon offsetting. Carbon offsetting, which aims for carbon neutrality, is based on the principle that the climate is affected by both net greenhouse-gas emissions worldwide and all activities that counteract these emissions anywhere on Earth. A company or a product can therefore become carbon neutral through its own actions or by purchasing carbon credits from projects that work to reduce carbon dioxide emissions. This system continues to operate on a purely voluntary basis, and, in collaboration with the Instituto Terra, TASCHEN has taken the initiative to neutralize its carbon emissions. After consultation with a leading company in the field, TASCHEN learned that according to the Greenhouse Gas Protocol, it was producing 13,000 metric tons of carbon dioxide across the world per year.1 Meanwhile, experts estimated that the trees planted at the Instituto Terra have so far captured or absorbed some 108,000 metric tons of carbon dioxide. Thus, by buying credits from the Instituto equivalent to TASCHEN’s annual emissions, the publishing house aims to become carbon neutral throughout its whole production and logistics process, while supporting the Instituto Terra’s reforestation effort. TASCHEN, which has long supported the Salgados’ initiative, celebrates this opportunity to expand its involvement in the institute’s important work. While we are creating a new source of funding for the Instituto Terra, we take satisfaction that in the future we will join a small number of global companies that can justly claim to have achieved a zero carbon footprint. 1 Figure for the year 2011 including Scope 1 and 2 greenhouse-gas emissions from offices and stores (electricity and heating), as well as Scope 3 emissions of paper used for production (75 percent of the reported greenhouse-gas emissions); electricity of contracted printers; and domestic, ocean, and air logistics emissions between TASCHEN and suppliers, affiliates, and customers. The figure does not include emissions from our business travel, or from customers’, retailers’, or wholesalers’ own logistics.